​​Big Time Construction, Inc. has over twenty years of experience in the concrete industry. 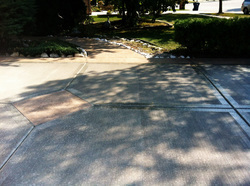 Our company guarantees our best work on your concrete projects. With work ranging from sidewalks, patios, driveways, room additions, and more, there are no limits to what Big Time Construction, Inc. can do for you. Call today and schedule your free estimate!